This is a great idea!! Thank you for sharing. I am embarassed to say I am just now learning to use Google Drive and their spread sheets. They are so easy. I am going to give this a try! Thank you. Hi Jerri - thanks. I thought many more agents would respond to something like this?!? I’ve helped 1000’s of Agents get buyers with this tool. Anyone that sees the response of a renter when they see this card will never use another tool for buyers leads and closings. Brad Andersohn - This is a GREAT illustration! Many people are so busy just getting through the day and don't even know where their rent money is going or how it impacts their future. If I could give this post 100 likes, I'd do it! The financial benefits of home ownership are real - thanks for the very helpful visual! This card puts the financial benefits of home ownership at the forefront of the renters' mind. It's a proven success strategy over many decades. Here's what it looks like when you add interest to that monthly rent. Hi Brad Andersohn - I saw this through Patricia Feager, MBA, CRS, GRI,MRP and am glad that she shared it with us. I don't get many first time buyers in my market but it sure can open up their eyes. I never rented, I bought my first home at 20. I am so glad I did! Brad Andersohn - I'm glad to see this post FEATURED! Congrats on the feature... I will use that idea and thank you. I do use Google Drive all the time. Love it..
Brad - I have been a fan and follower for over a decade. Thanks for the tip and great tool that will come in handy! Great post, Brad. Thanks for sharing an "eye opener" for the spring market when tenants are asked whether or not they plan to renew for an aditional year! Perfect tool to use in converting renters to buyers...it is a win win. Thanks for the idea! Thank you . It serves to remind me to start prospecting folks who live in tenanted properties. My letter to them would clearly state "not intended to solicit tenants under contract with a realtor"
there are some good rent vs. buy calculators that determine what the breakeven point is even including closing costs. Don't have a problem creating renter awareness of cash in the trash when they stay on the sidelines from home ownership. Every single renter laments how they want to get a set of house keys but our biggest job is helping them get bankable. My first home in 1981 was 12.25% fixed in a time of 16.5% adjustable mortgage rates. You don't rent until rates moderate... you do the best you can and refinance and pay down whatever mortgage you have Brad Andersohn . We do use the spreadsheet for amortization of a land loan to show the seller the return from making his or her sale into an annuity carrying the mortgage with owner financing a lot! Wow thanks for the reminder ! I’ve had one of these for years , but forgot all about it ! Don’t forget to add a statement that RATES ARE DROPING ! What an excellent post! Clear, concise, and toward a very eye-opening point. Thanks! Brad, maybe I should brand this with my info and send it to my 65 renters? How are you doing my friend. I still remember flying you to Tennessee for that training. Awesome post! Thank you so much!! I will use this. Hi Brad -- you've given me a GREAT idea for a handout at a buyer's information night we're holding next month. Nice to see you back here on the Rain. 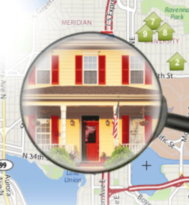 What a great tool to show renters and first time home buyers, Brad. That's a niche market that I need to spend more time on. It's amazing how fast it adds up. When you consider the tax advantages of financing a home and the fact that someday you will be mortgage free, it's pretty much a no-brainer, isn't it? Rent is gone forever. A mortgage is a path to a rent-free life, which I've been enjoying for 18 years now. Hi Brad! SOOOOO good to see you here and what a great post to share! Most people understand better, something that is right in front of them, demonstrating the exact point that we try to make verbally! Thanks for sharing! Thanks for the idea Brad. The whole conversation gets a bit more complicated, but this is a great idea to start a discussion! Hi Brad - when it's there in black and white, the facts are difficult to dispute. Great post Brad Andersohn ... I will put something together to share online and with Renters! We need the FACTS ... Thank you! Great idea, Brad! I'm going to use this for sure. I don't even have to change the branding. Brad Andersohn , this is a great idea. I like how Andrew Mooers | 207.532.6573 put it,"cash in the trash". It is eye-opening when you look at the aggregated numbers. Thank you for sharing. I understood this concept a long time ago and was happy to buy a home and stop paying rent. Brad, thanks for sharing. The visual is quick and easy to follow and does not require a lot of talk. Thanks for sharing this. The visuals - the video and the chart - are pretty compelling. And I think the average rent is higher than $1800 here so the amount tenants are spending per year can become pretty staggering over time, with little to show for it other than having a place to live. Thanks for all the great feedback and comments. Mary also makes a great point regarding cost of living, inflation, and income. I agree. It’s good to know we have many programs out there to assist buyers who have student loans, lower income, bad credit etc. Relocation is sometimes inevitable in life’s journey but can also be a blessing in disguise. Great reminder! Sometimes I involve a lender to help further crunch the numbers to show possible tax advantages.